1. Statement of Jean Weir to the terror-court of Korydallos. 2. Call for solidarity with Revolutionary Struggle Nov 22-24. 3. RS. Trial Session 6/9/2012 with Dimitris Koufodinas of 17 November (17N). For the last half a year the solidarity with the people and comrades in Greece who struggle against the System and the results of the capitalist crisis was increasing. Especially in the situation of having the winners of the crisis all around you, its sometimes not easy to find out where to start. In general a big part of society in Germany is not getting what the consequences of the crisis – the cuts – mean for the lives of people in Greece. As ‘Winners’ and playing a leading role in the crisis you don’t feel it financially as well as economically here. Besides benefits for imprisoned comrades and solidarity-activities like letter-writing to prisoners and manifestations there were more discussions about the crisis as well as the situation in Greece and our stand towards it. As one result comrades decided to show their revolutionary solidarity in attacking the reality around here, too. In different cities attacks for the prisoners as well as attacks against the banks and profiteers of crisis have been taking place. 3 May – “Telecom” parking-lots visited and company cars torched. Telekom is a crisis winner and joint-owner of Greek telefone company OTE. Also Telekom is with their businesses an example for the increasing civil-military cooperation. 23 August – “Telekom” building smashed and painted. 25 August – An illegal street/neigbourhood-fest in solidarity with the struggles in Greece. Banners, discussions and information given out among the thousands of visitors. In the evening some fire and banks lost their windows. La represión, lejos de ser un remedio, un paliativo, no es sino una agravación del mal. Las medidas correctivas no pueden más que sembrar el odio y la venganza. ¿Habéis impedido que se manifestara el odio? Los hechos demuestran vuestra impotencia. Para destruir un efecto hace falta destruir su causa. El presente escrito es, una invitación, para que de manera conjunta publiquemos una revista con artículos, escritos por los diferentes colectivos e individualidades que llevan a cabo una labor y una lucha contra el sistema carcelario, el castigo y el control social. We make a call out for ten days of propaganda actions, in as many places as possible, aiming to promote struggles which are more or less known but also entirely unknown to many people. Individuals and/or groups who wish to join in these ten days will choose the thematic and the means according to their own criteria and dynamics, for the strengthening of international and reciprocal solidarity amongst the oppressed. This handout issue features a front page article from Actforfreedomnow/BoubourAs, the secondary article concerns anarchist revolutionary solidarity and the struggle against prison by Guiseppe. Also inside is an incomplete direct action chronology of the past few weeks and the breaking stories of the moment : CCF- Imprisoned Members Cell and accused others will be indicted with 250 attacks carried out in the name of the Revolutionary Organisation over the course of its history; Val Susa, Luca Abba is hospitalized fighting against the High-Speed Rail (Italy); Santiagio: State demands 15 years prison for Luciano ‘Tortuga’ (Chile). “In the early morning of 17 January, two telecommunications utilities vehicles, of British Telecom, were set on fire in Bristol. This attack was made in solidarity with Conspiracy of Cells of Fire and all those who are fighting inside and outside the prison walls. We denounce the trial against the accused and imprisoned of the Conspiracy of Cells of Fire. We denounce all trials, refusing to recognise the authority of the State and its judicial apparatus. We send comradely greetings to the imprisoned cell of Conspiracy of Cells of Fire and say that we recognise ourselves, our actions and our ideas in a common project of destruction. We salute all rebellious and revolutionary prisoners and all people rising up against capitalism and the State. Declaration for the 1st November letter-bombing against European State targets by Conspiracy of Cells of Fire. Read also the Letters of Gerasimos Tsakalos, Panagiotis Argyrou and Harris Hatzimichelakis, plus the International Call for Solidarity. Another reason of our action, via the mass sending of incendiary parcels to embassies and European leaders, was so we can make an international call. We therefore call to all lengths and widths of the earth, from Europe to Latin America, for the strengthening of the revolutionary war. We organize internationally and aim at the enemy. We can’t wait to see the subversive elements flooding the streets and the guerrilla groups striking again and again. All means unlock and go on the table without taboos and fetishisation. On the demonstrations we smash the heads of cops, banks are robbed and are delivered to flames, bombs blow up governmental buildings, guns execute politicians, journalists, cops, judges, as well as all sorts of protectors of this world. This way, step by step, the domestic internal enemy becomes even more dangerous for them. Also solidarity, one of the most powerful and authentic weapons of revolutionary forces, acquires a stronger and coordinated cry. To the mass arrests on a protest in Belgium we in reprisal will put bombs in Greece and when a revolutionary team is jailed in Chile, Argentina should fill with rubble from the attacks of comrades. For us the dead guerrillas and prisoners are not a point of truce, on the contrary they become the motive force of the exacerbation of revolutionary processes. This is why we believe that Solidarity should become more an armed stubbornness of today and not a humanitarian protest of reform. 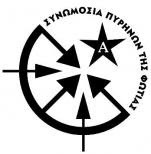 On the 17th January 2011 in Athens, will be the trial for the case of our revolutionary organization. In this are being tried some our proud members, some revolutionaries and other anarchists because of personal relations with the accused. It is of no value to speak of the trial, since we define ourselves outside the limits of juridical authorities. What has substance is the expression of aggressive solidarity to the comrades that are accused and are in prison for this case. For us, despite the man-hunt that has been unleashed against us by the police, as well as the recent arrest of our 2 members, nothing can stop the continuous and evolutionary course of our action. In our decision to promote a battle to the end, WE CALL in Greece, Europe, Chile, Argentina, Mexico and to the whole world to the comrades and guerrilla formations to send their attacking signals to the judges and the Greek authorities, as well as a greeting of solidarity to the hostages of the new urban guerrilla warfare. Let this trial become another reason for action in the Revolutionary War.